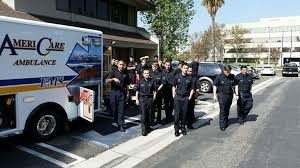 AmeriCare Ambulance sees a duty to go above and beyond. As far as Bradley Ott is concerned, it’s not simply about moving patients. Instead, to the owner of Indiana-based AmeriCare Ambulance Service, there’s a service element, too. Toward that end, Ott said, the company ordered roses for senior residents in communities served by AmeriCare on Mother’s Day. It’s volunteered to transport patients to events like wedding and graduations – or any other occasion where it’s important for people to be in each other’s company. “We know how important it is to help bring families together, and for these occasions we’ll offer free transportation,” he said. “In some cases, this may be the last time that Grandma or Grandpa may be able to participate in this type of family event, but that participation wouldn’t have been possible without someone helping to ensure the person gets there and back safely. AmeriCare was the first ambulance company in Indiana to offer specialized preventative care to passengers on stretchers. It uses textiles to prevent skin tears and padding that relieves pressure points to both prevent new wounds and lessen potential for current wounds to be made worse. Its “Heads Up 7 Up Program” allows skilled nursing facilities to receive a notice whenever a new resident is about to be transported to their facility, which allows healthcare providers to know exactly when the patient is arriving and allows time to prepare for the admission. The steps are a means for Ott to extend a family feel to an expanding enterprise. “I tell staff this is not my company, this is your company. I’m just here to help you run it,” he said. A franchise set-up for the company is possible in the future, and in the meantime organic growth is anticipated into northern Indiana and Cincinnati, Ohio. Other opportunities could spring from inter-facility transports, when patients of a hospital need to be transported to specialists at another. These days, the company provides medical transport services for residents at more than 75 senior healthcare services facilities. The client base, in fact, has grown in number for 10 straight years.